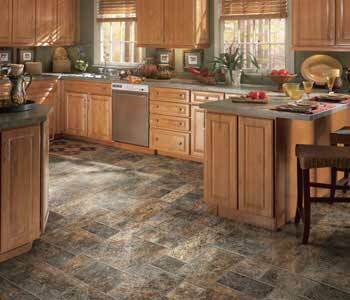 Design Flexibility Vinyl sheet flooring and tile are available in myriad styles and colors. Vinyl tile is available in shapes that can be custom cut and laid out in patterns using different colors or finishes. Tiles can be arranged, for example, to depict a corporate logo or to guide traffic in a hospital or retail setting. Virtually any look can be obtained to suit any decor, including classic looks that simulate wood and ceramic when you choose Vinyl Plank in Vancouver. Custom-made designs are easily created using sheet vinyl flooring. 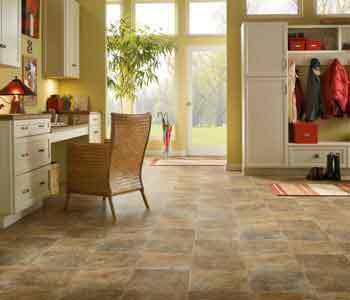 Vinyl flooring is durable and time-tested, maintaining its beauty under heavy foot traffic and use. It is moisture and stain resistant, so spills can be easily removed. When compared with alternative materials, Vinyl Flooring in Vancouver offers an attractive installed cost with economical maintenance over the life of the floor.